Anyone who has read my blog knows that I am no stranger to classic film. What with a Masters degree under my belt and an insatiable desire to fill up my DVR with obscure films playing on TCM, I’ve seen more than is probably healthy. 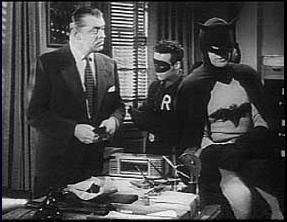 And I’m certain I’ve seen at least one with Lyle Talbot. 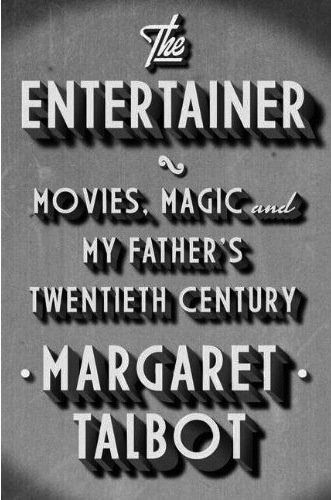 With this book, Margaret Talbot has not only chronicled her father’s early life, but also the childhood of American cinema. Beginning with the roots of travelling buskers, then magic lanterns and early silents, we see this endlessly creative era though Lyle Talbot’s eyes. The world that Lyle inhabited in his twenties and the country’s is a lost world — the world of traveling theater troupes and local repertory companies that, before the definitive arrival of mass entertainment, could still command people’s desires and imaginations. Soon it would be overwhelmed, first by radio and movies, then by television. But from the 1880s till the late 1920s, touring companies were what brought America its most reliable entertainment, what sparked, season after season and however creaky the machinations on stage, its sense of make-believe. Lyle it seems did a little bit of everything. From working as an assistant for a carnival hypnotist’s to starring with 1930s starlets to being in Ed Wood’s infamous Plan 9 From Outer Space. Also with James Cagney, Bette Davis and Olivia de Havilland, he fought for actor’s rights and helped to co-found SAG. In many ways, daughter Margaret was a lucky biographer. Lyle loved telling stories about his decades in show business. And there is plenty of archival material to pull from. Still, there is always a level of separation between generations. Only our imaginations can try to realize what that era must have been like. But the author does a fabulous job getting us there. As a reader, I think any sort of memoir is a terribly brave thing to tackle, but even more so when it is a dear family member. You are bound to uncover things you never knew or actions you can’t understand. It is unnerving to recall that all parents had a life before you arrived. This, too, Margaret does with grace. She doesn’t sugar-coat anything but neither does she vilify or write-off Lyle’s shortcomings. And he is a much more real person to us, the readers. I truly enjoyed reading this book. Margaret Talbot’s telling of her father’s life is nostalgic but not sentimental. And it’s a truly American story — A Midwestern, bootstrap, just keep trying kind of story. Furthermore, it’s a reminder to the younger generations, to ask their parents and grandparents for stories. You may not have a film star in the family, but their story is important too. Thank you to the folks at Riverhead for the review copy. I absolutely adored this book. As you said, she doesn’t sugar coat anything and because it’s family it’s a very delicate situation. I feel like she was frank but respectful and I love the context provided with the parallel story of 20th century entertainment and culture. I have a review on my movie blog about this! I was excited to see your review too.